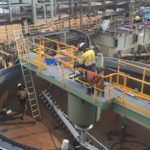 Panoramic Resources is set to improve operations at the Savannah nickel-copper-cobalt project in Western Australia after failing to meet a production target this year. 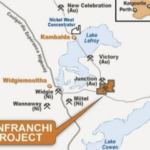 The company’s ore production approached a forecast in January 2019 but only fulfilled 60 per cent of the February target. While the next shipment from Savannah, scheduled for late March, has a nominated cargo size between 5000 and 8000 wet metric tonnes, the actual cargo will depend on the site’s concentrate production between now and then. Panoramic is reviewing its ability to increase production in compensation of the slow ramp up. Following a delay in the commissioning of the paste plant, it was fulfilled towards the end of February. Panoramic will now ramp up paste placement to allow for mining rates to improve. 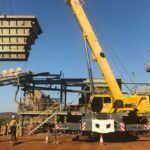 Panoramic has also repaired its charge-up wagon, removed a significant blockage in the ventilation and provided technical support for underground communication issues, which all contributed to the lower ore production. The miner will deliver new loaders and trucks ahead of schedule, hire additional technical staff and fill remaining vacancies of the permanent workforce. Panoramic’s first shipment from Savannah in February also obtained lower proceeds than expected due to concentrate production, metallurgical recoveries and cobalt prices.